The C9 bulb is by far the most common light used to decorate homes. 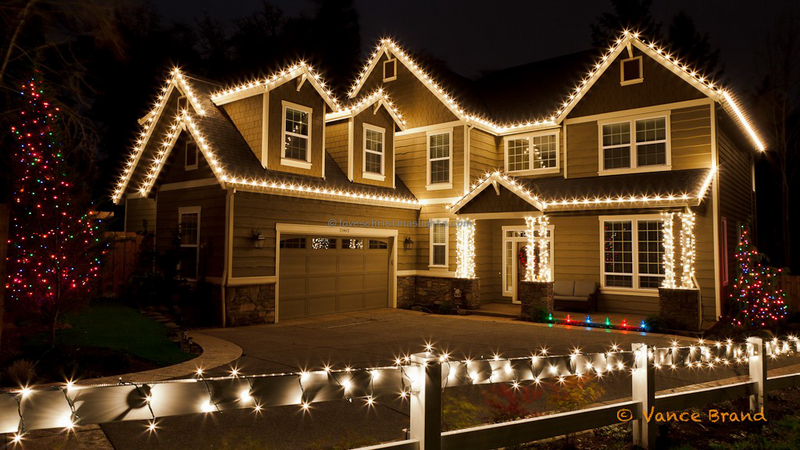 They are installed on both the gutter lines and peaks of the house, windows, pathway lights, as well as outlining the rooftop. When installing lights in a multi-color pattern, the pattern must remain constant. Obviously, broken/burned out bulbs must be replaced with the same color bulb. C9 refers to the shape and size of the bulb. "C" refers to the candle shape of the bulb, commonly seen in candelabras. The 9 denotes the diameter of the bulb measured in 1/8 inch increments. A C9 bulb would therefore measure 9/8 inches, or 1 and 1/18 inches in width. C9 Christmas light bulbs are approximately 2 1/4"(?) in height. C9 Christmas light bulbs have an E17 socket, or base. The "E" stands for "Edison Screw" and is the common light bulb socket familiar in America. The number 17 refers to the diameter of the socket in millimeters. C9 bulbs are available in either LED or incandescent. Incandescent bulbs emit light from a small, metal filament inside of the bulb. Electricity flowing through the bulb heats this filament, which then glows and creates light. In time, this filament will weaken and cross itself, causing the bulb to burn much brighter than normal. These "super-bright" bulbs should be replaced immediately as they will burn out shortly. A completely broken filament, or a failure in the glass, will cause the bulb to burn out completely. The incandescent bulbs use consume 7 watts of power. This is important to know when determining how many amps a Christmas light display is consuming. 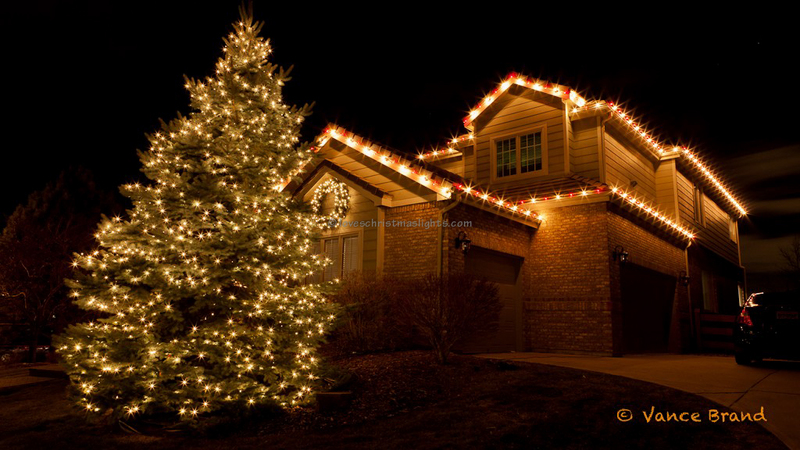 No more than 125 C9 incandescent bulbs should be installed on a single line. The incandescent bulbs are available in the following colors: Clear, Red, Green, Blue, Amber. The multicolor pattern is Red Green Blue Amber. LED bulbs create light from light emitting diodes (LED). There are 5 diodes per C9 bulb. The C9 LED bulbs are made of plastic and will not shatter if dropped from short distances. Dropping these bulbs from heights greater than one story will cause damage. Will dull from UV light. Therefore, burned out bulbs need to be replaced with a bulb that also has been dulled equally by the UV light. 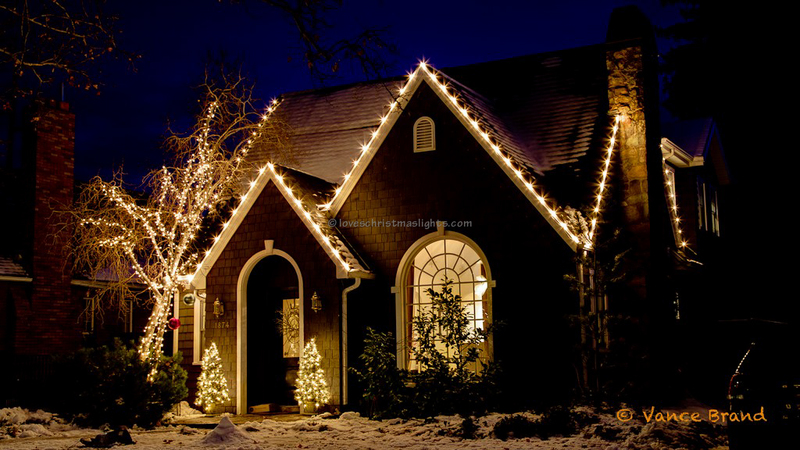 The Warm White lights are also different shades from one manufacture and/or year to the the next, so keep track of which bulbs are installed on which houses so they can be replaced with the correct bulb later on. The LED bulbs consume 0.4 watts of power. This is important to know when determining how many amps a Christmas light display is consuming. No more than 400 C9 LED bulbs should be installed on a single line. C9 LED bulbs are available in the following colors: Warm White, Red, Green, Blue, Amber/Orange, and Yellow. The multicolor pattern is Red Green Amber Blue Yellow.